Dr. Slump: Hoyoyo! Arale no Himitsu Dai Koukai dayo!! Can an OP Character Be a Good Main Character? OP characters are a common trope in anime, if not a loved one. An often repeated criticism of leads, particularly in shounen titles, is that they were too powerful. Distinguishing between the pros and cons of OP heroes is important to be able to understand if an OP lead can be a great character. Shadowy organizations that conspire to take over the world are everywhere. But what’s important is that they’re present in your favorite anime and are planning to take over your world. You can't run and you can't hide from them! When in comes to power, these anime protagonists have it all. Literally. All of the power. We call god-modding on ten of these overpowered anime characters. Top 10 Best Classic Shonen Manga Ever! Shonen manga is awesome - the action, hot characters, and some cliches that tell us life lessons. We picked the timeless masterpieces from the first-class magazines! You can tell a lot about someone by their appearance. So what would you say about these anime characters? Here are fifteen characters with hairstyles that are just too silly, even for anime. Martial arts are an expression of power, showcasing the potential of the human body when pushed to its physical limit. It also makes for exciting anime, and allows animators and directors to showcase their prowess as things get heated. Birthdays are something we all look forward to. We get to throw a party, invite our friends, receive gifts and stuff ourselves full of delicious cake. Let's see what anime characters get up to on their birthdays. Henshin a go go baby! Transformation is a staple in many genres of anime, from fighting to magical girl. The sacred rule of transformation is that no other character is allowed is interrupt while you power up to your next form, so of course you want to make things spiffy with a henshin sequence. The cute little perpetually pre-pubescent robot protagonist from Dr. Slump squares off against the aging Super Saiyan. Get ready to relive your childhood. Come explore the very best DBZ AMVs that celebrate this world-renowned series by paying tribute to the blood-pumping action we all love or going to the very core of the more complex characters. We love Luffy, the Straw Hat Pirates and their mad capers. For fans of One Piece looking for new anime to watch, we've tracked down just the right shows for you. There's nothing wrong with some friendly competition, but seeing our favorite anime characters embroiled in some decidedly unfriendly competition can be fun too!. Anime is chock-full of rivals who want nothing more than to outdo one another, and prove who is stronger, faster, or just plain better! With every generation we have different animators and mangakas. As such, each generation of anime viewers has enjoyed a slightly different art style than the one before it. But how has this changed the style of the anime nose? As picked by the writers of MAL Featured, here are our favorite quotes from anime! Some will make you laugh, others will make you think. This collection of anime quotes represents just how vast the world of anime is! Check out these 20 must watch anime classics! All of them are popular anime that are considered genuine masterpieces and have set important milestones in the history of anime. Some have unique visuals, some have complex characters, and some have both. Let's take a whimsical stroll down memory lane! League of Legends is launching a Japanese server, and the voice actors dubbing the game into Japanese have plenty of anime experience! WARNING: this is a long, video-heavy post! Mobile users beware! In life, everyone should have at least one person they can truly call their friend. This is no different for our favorite anime characters. Let's take a look at 15 anime where friendship is paramount and the bond between anime friends is eternal! Manly anime series show us how tough, hard and muscular some of the guys can be. Some may be macho anime archetypes while others are better-rounded. Let's take a look at some gents which stand apart from the rest of the pack! The villains and events of Dragon Ball Super bring several possibilities not yet explored within the franchise. Here we examine the new dimensions Dragon Ball Super brings with its villains and story. Dragon Ball Z Power Levels and Scouter: Over 9000 or Over-hyped? Many fighting series have ways of measuring the strength of characters through some form of energy. Whether it is chakra, reiatsu, or ki, some form of energy level is often used to gauge character strength. In Dragon Ball Z, we can put numbers called Power Levels to these estimates. Dragon Ball fans have been waiting for well over a decade for a new addition to the television series, and it has finally arrived in the form of Dragon Ball Super! While it's hard to view the show in some countries, the Dragon Ball Super opening is readily available for fans worldwide! There are 6 distinct Dragon Ball Z sagas, each one introducing a new arch-enemy, scheming to take over or destroy Earth, that the Z-Fighters must defeat. Each of these villains has a complex background, special abilities and some deep reason for doing the evil things they do. Let's find out more. 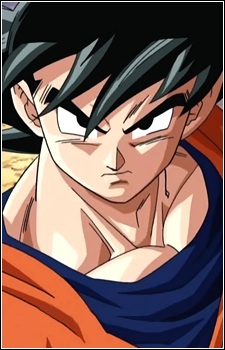 Dragon Ball Z is one of the most popular anime ever released, enjoying success worldwide. After 20 years, Toei Animation released Dragon Ball Kai, a revised version created to cater to fans new and old alike. Let's explore the differences and similarities between the two! Dragon Ball Kai is a remastered and recut version of the original Dragonball Z that slims things down and keeps the main themes. The series' opening takes this very same direction, and gives us the big moments and themes from the show. The reborn Dragon Ball Z saga, adhering more closely to Akira Toriyama's original manga vision, Dragon Ball Kai reintroduces the colourful cast of characters in a streamlined edition of the show. Here we'll take a look at the major and minor players in the Saiyan Saga. Nostalgia really catches on with the latest and probable final arc of the Dragon Ball series. Dragon Ball Super delivers the same over-the-top action coupled with the characters we've come to know and love. Here are 20 quotes that really define each character and set them apart. It’s no surprise that many collectors love to display the hundreds of action figures that have been made featuring, the characters of Dragon Ball Z. Now, Bandai is once again at the head of the pack with its spectacular S.H. Figuarts toy line, which caters directly to collectors. Dragon Ball Z is a shounen action show that includes a lot of fighting, but the series also includes some incredibly funny moments. The humor usually derives from characters acting in ways that the audience wouldn't expect. These are 20 of the funny moments that appear in Dragon Ball Z. From high-strung heroes to inscrutable villains to zany old Muten-Roshi, Dragon Ball characters deliver cheeky dialogues with relish, like none other. Here are twenty amusing quotes from the unforgettable series.